** Disclaimer: This isn't my normal blog fare. 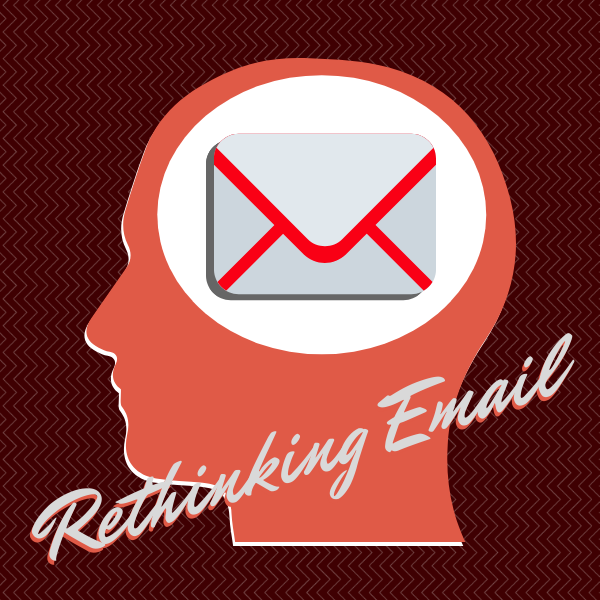 If you're interested at all in email marketing, this article might be of interest, but otherwise it's long and potentially boring. I'm also not offering it as a prescription for how anyone should do email marketing, or email in general. It's just some observations of my own. A couple of weeks ago I was presenting a workshop in which I was talking about my recent experiences with email. The gist of the story is that a few months ago, after getting tired of the vitriol in many online exchanges, I wanted to bring a more uplifting message to people. 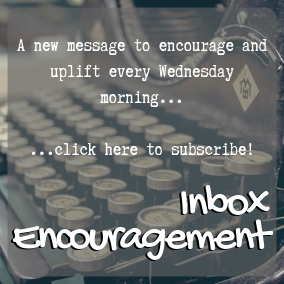 I started a weekly email message, now called Inbox Encouragement. I was telling the group about how I was seeing open and click through rates that were the highest I'd ever seen. Open rates as high as 80% and click through rates ranging from 25-45%. At one point in the discussion I was asked if I had any idea of any of the clicks were converting. In sales language that means that clicks were becoming actual sales. The funny thing is that I would usually have an answer for that question. I've used email marketing almost as long as I've had email, and I'm mostly well aware of what kinds of response and conversion rates I receive. This time I was stumped. It hadn't occurred to me to keep track because I hadn't thought of this list as a sales campaign. I just wanted to share some encouragement. So that question hung with me until I got home. When I had a chance to look I discovered some interesting things. First let me give a little perspective. I've maintained a music list of nearly 3500 names for years, going back to the mid 1990s. When I started the Inbox Encouragement messages, I didn't use that list. I may invite them to join at some point, but I've been careful to keep music and coaching compartmentalized in my email accounts. The Inbox Encouragement list started with 18 names in August of this year. I don't advertise the mailings widely, I just have an exit popup form on my website, and I've cross posted messages to one Facebook page, and my Twitter account. I also have no lead magnet to get people to opt in, in exchange for something of value. Four months later the list has more than doubled, mostly through people on the list sharing with their friends. I have gotten a few subscriptions from Twitter posts, and none from Facebook. This isn't surprising. What is surprising, is that I haven't put any real effort into building the list. It's growing on its own because people seem to like and appreciate what is being shared. At the time I'm writing this there are 46 members of this list. Yes that's a low number, and my high open and click through rates don't represent a huge number of people, but I still find it fascinating that they are as high as they are. And when I looked at the question that had been posed in the workshop about conversion rates, I was also pleasantly surprised. Of the 46 people on the list, 22 have listened to and subscribed to my podcast. 17 have read and subscribed to this blog. And six people have initiated conversations with me that have ultimately led to coaching opportunities. I count all of these as conversions of one kind or another. And all of them have come from this email list. Do you know how hard I usually have to work to get six people to consider coaching? That is usually several hours of contact. In these cases, they approached me. I've spent tons of money and a bunch of time learning about email marketing; auto-responders, funnels, copywriting, best practices, etc., and these tools and techniques for me have had a very flat response. I'm used to seeing open rates of less than 5%, and click through rates are less than 1%. I have sold some digital products like online courses through email, and I'm not suggesting that there isn't a place for that technology. I think it still works well for certain things. But this experiment has reminded me of a few things I already knew, but forgot. First, almost all of marketing is about making authentic connections with people. I had lost sight of that, and email had become more about pushing people toward a quick call to action. My own desperation is probably the driver behind this. When I'm focused on needing money, I am a steamroller. My intention with this email list has been just to lift people up and encourage them. That has created connections that have allowed other possibilities to arise, and without any advance planning or strategizing, or manipulation of any kind. The second observation is that people are tired of marketing emails, including me. I've written about my marketing email account that I opened a few years ago just to take advantage of free marketing offers. I signed up for 211 lead magnets, and from those 211 marketers, and the lists that my address have been sold to, I've received over 47,000 emails in just over two years. That account received hundreds of emails a day. I thank my lucky stars every day that I didn't sign up for these in my primary email account. Knowing this, I'm honored that people think enough of my messages to open them. Finally, the last observation has to do with sharing our gifts. If you've heard me talk about the confusion we have about gifts and talents, you know that I propose that there is a distinction to be made between them. Our gifts are a core aspect of who we are, while our talents are conduits through which our gifts are delivered into the world. Esoteric, yes, but I find more evidence to support it every day. I've been aware for a long time that my core gifts are encouragement and vision. Allowing my gifts to be at the center of these messages has reminded me that a gift shared is a gift received. I'm as much a receiver as a giver in these exchanges, and that brings about amazing returns. I don't recommend this as a tactic, and I have no idea if it's scalable. Even if it doesn't continue to grow, I'm still going to do it. The original intent is still intact. In the midst of all the noise and shouting, I want to offer a quiet and thoughtful bump to your midweek, and conversion is the least of my concerns. Thanks for reading. Your attention is the most valuable thing you possess. I appreciate you spending a bit on me.